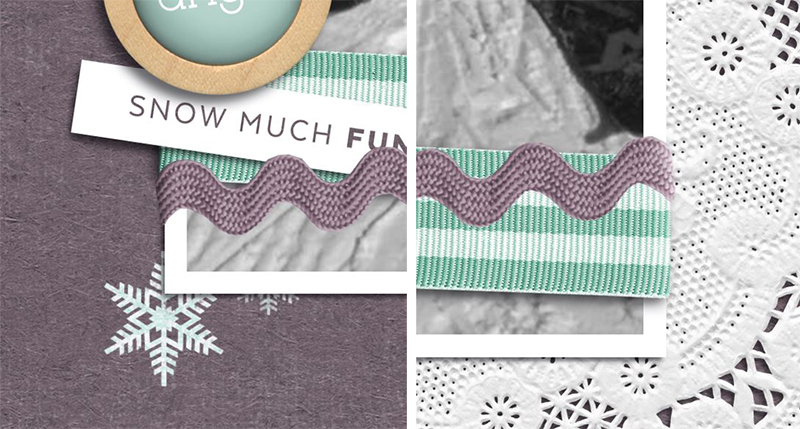 Hey there scrappers, and welcome to another edition of our Tutorial Tuesday series here on The Digital Press blog! I don’t know if you’re like me, but I loooooove a realistic digital page… one that people will want to touch when it’s printed to find out whether it’s “real” or not. 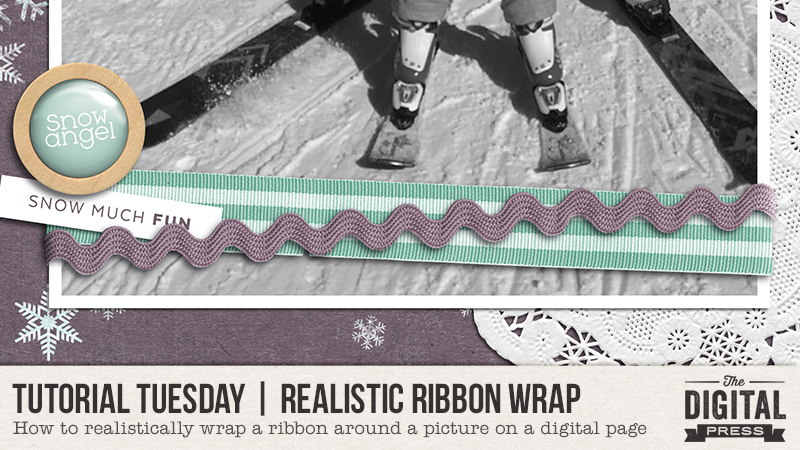 With that in mind… today I’m here to share a technique for realistically wrapping a digital ribbon around another item on your page! Today’s tutorial will show you how to wrap a ribbon around a photo or paper using photo-editing tools such as masks and dodging/burning. See the ribbons that are wrapped around the bottom of the photo? To achieve this result, we have to do two things. 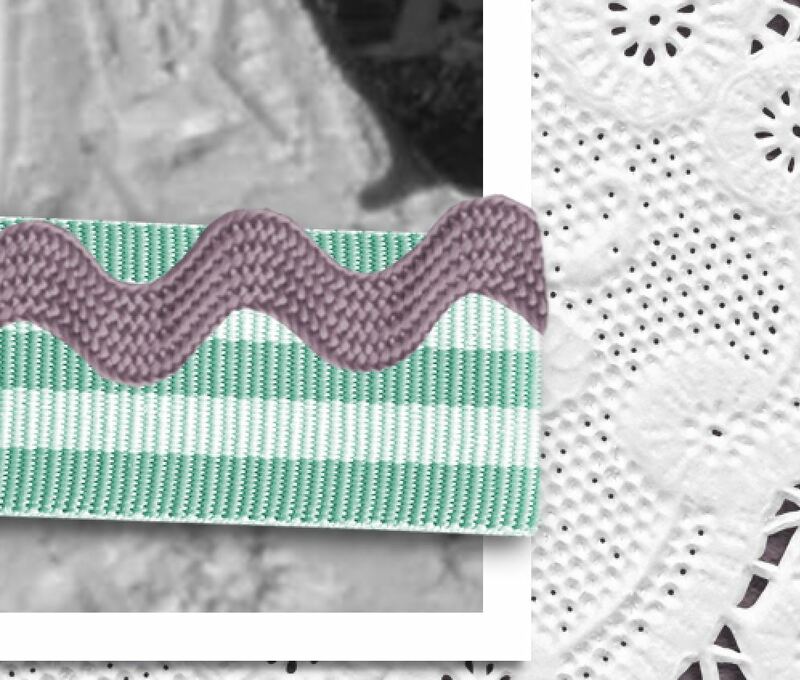 First, we need to delete the parts of the ribbon that are supposed to be stuck behind the photo. To do that, I like to use a mask so that all my modifications are reversible if need be (for example, I started my page above with only the ric-rac in a horizontal position, so I was happy to have more room to work when I decided to change things up, add the second ribbon and put them both at an angle). I hope you will give this technique a try. It’s really fun, and adds some great realism to your digital pages! Let me know in the comments if you have any questions. p.s. if you loved this technique for achieving a realistic-looking result on a digital page… you may also want to check out some of our site’s other tutorials for realistic-looking digital effects… for example, this one or that one about paper shadows, this one about stamping or that one about realistic text, but there are many mores. 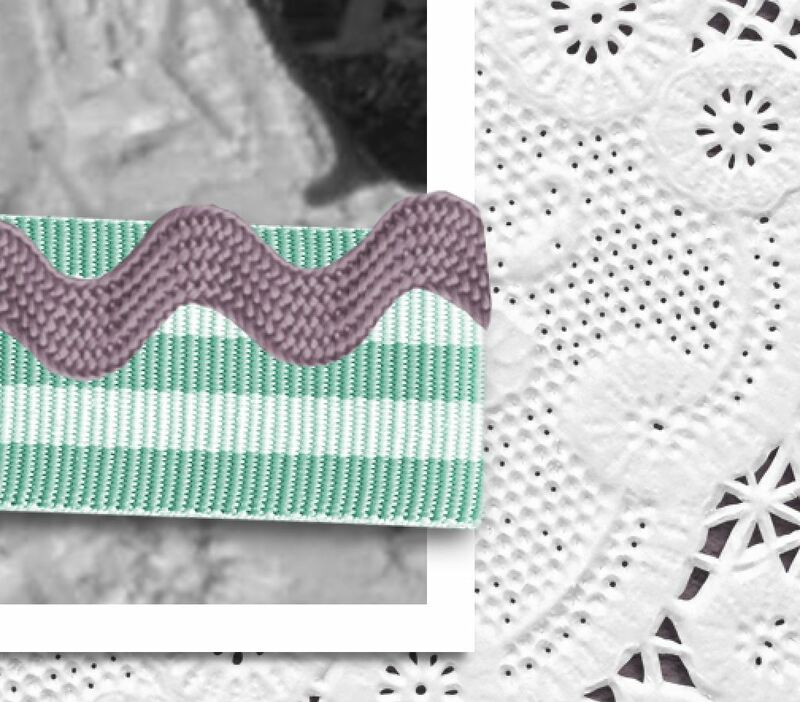 I found two tutorials that use similar techniques to the one I will show you today: this one about washi and this one about pins. About the author Chloé is in charge of PR and communication for her small town by day, is a digiscrapper “by night,” and a photographer whenever the light is beautiful. She lives with her man and fur-babies in a small town of Alsace (in the northeast of France), where she loves to read, watch good TV shows (TWD being her absolute favorite), and just hang out with her friends — no matter if they are close by, online, or away in her Swiss hometown. She recently became quite obsessed with Bullet Journaling, FLyLady and Zero Waste.